My ‘Kids Craft Stars‘ friends and I are back with another fun craft challenge. 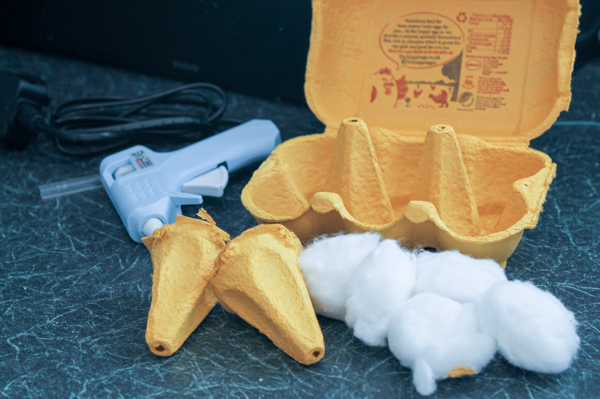 This month we’ve been crafting with egg cartons, which are such a great versatile material to make with. 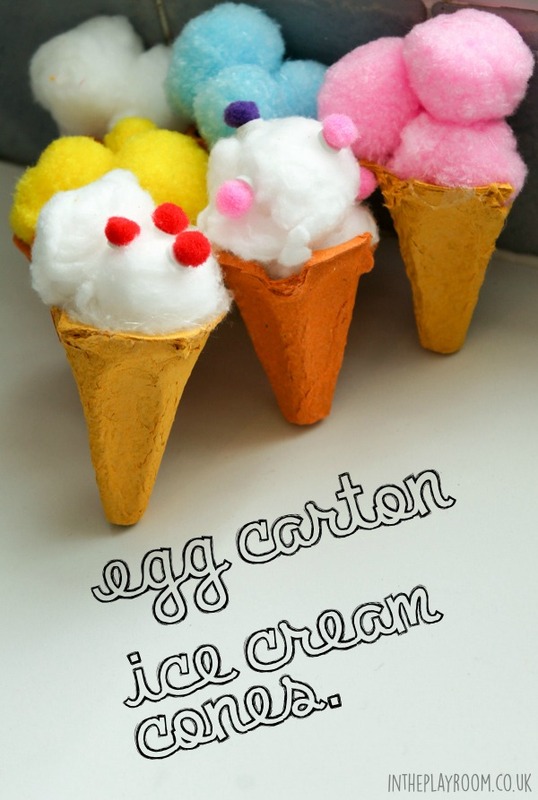 With Earth day this month, using old egg cartons to craft with is a fun way to recycle too! 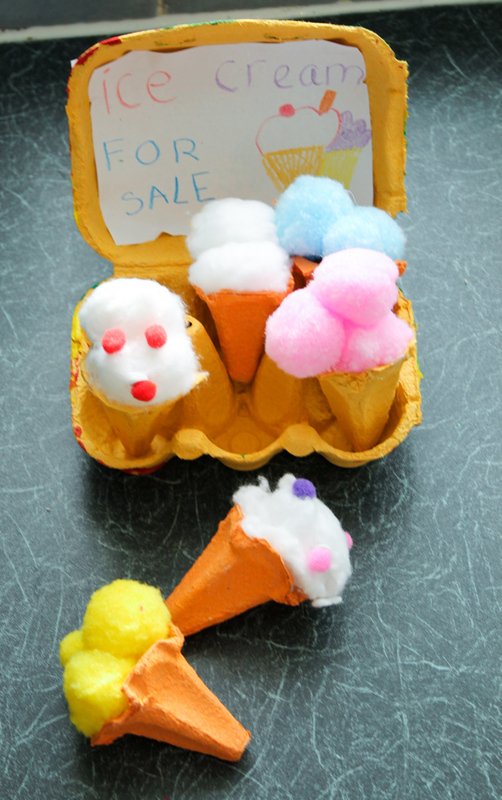 For our egg carton craft, the boys and I decided to make some egg carton ice cream cones, along with a tray so they could play at selling ice cream. These are really easy to make and fun to play with once you’re done. These are the central cones that you will need. 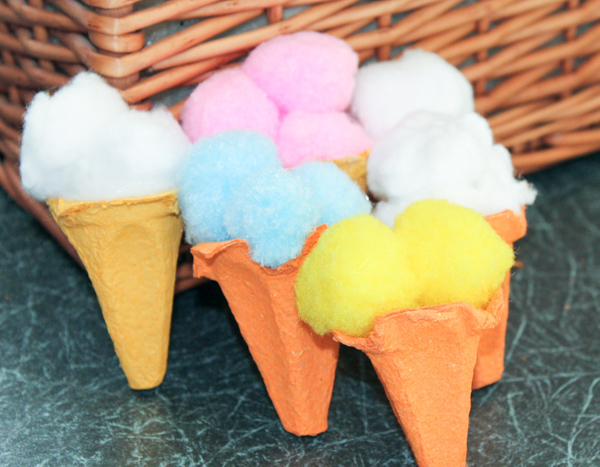 The egg carton cones make perfect ice cream cones, so all you need to do is pick your ice cream colours and glue the pom poms or cotton wool onto the inside of the cone to create scoops of ice cream. 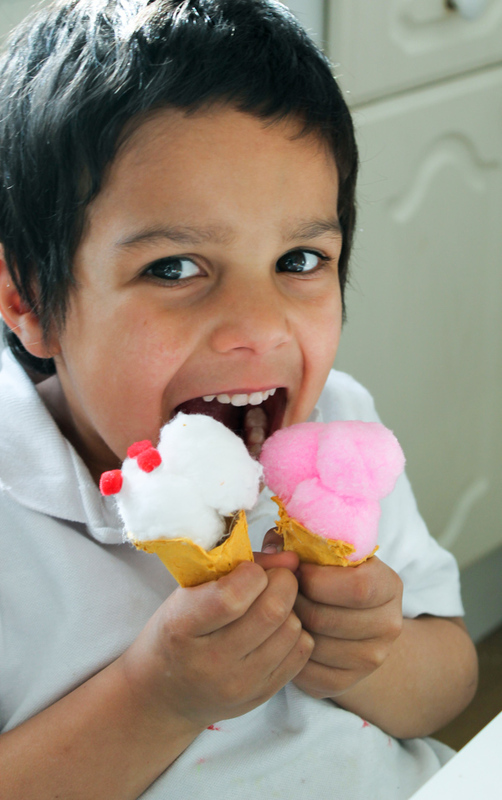 You can then add more detail by adding smaller pom poms on top to act as cherries or sprinkles. 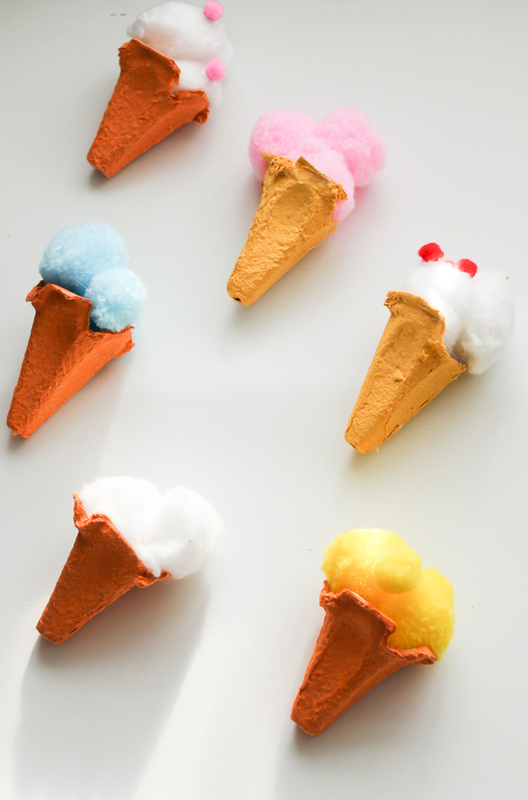 Your kids can have fun coming up with all kinda of crazy flavours if they like, using whichever coloured pom poms you have on hand, or you could try dyeing the cotton wool balls if you don’t have coloured pom poms around. 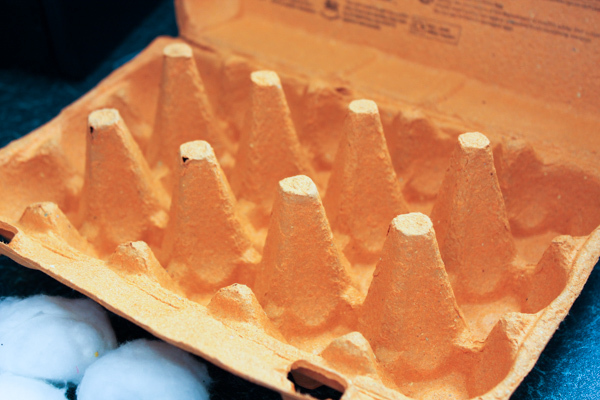 To make the tray, a 6 egg carton is a good size. The kids personalised their tray by painting it and making a couple of signs “Ice cream for sale” and “No more ice cream – sold out” to display on the inside. Or play at eating them themselves of course! 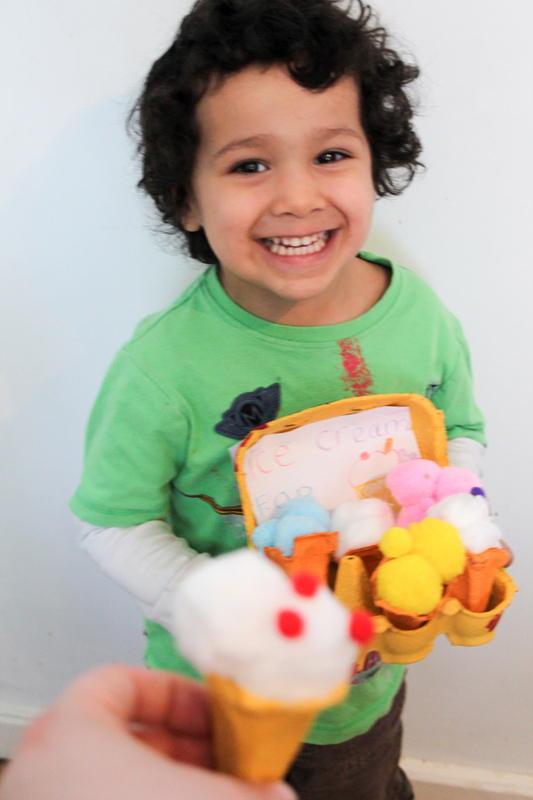 We’d love to see your egg carton craft ideas, tag them #kidscraftstars on Instagram to share them with us. oh good grief these are fantastic! i am maybe sort of jealous i did not think of it. 😉 thank you for sharing! saving this idea for next year’s ice cream study. What a great idea! My kids would have a blast playing with these! [email protected] recently posted…Free Stuff Friday – Who says that nothing in life is free…. This is a really cute craft! Thanks for linking up at the Thoughtful Spot Weekly Blog Hop! We hope you join us again next week! kidGLloves recently posted…Dogged Determination: Ash Meets……..